Thank you for considering our handmade knives. Our knives and sheaths are made from the highest quality materials for performance you can count on. 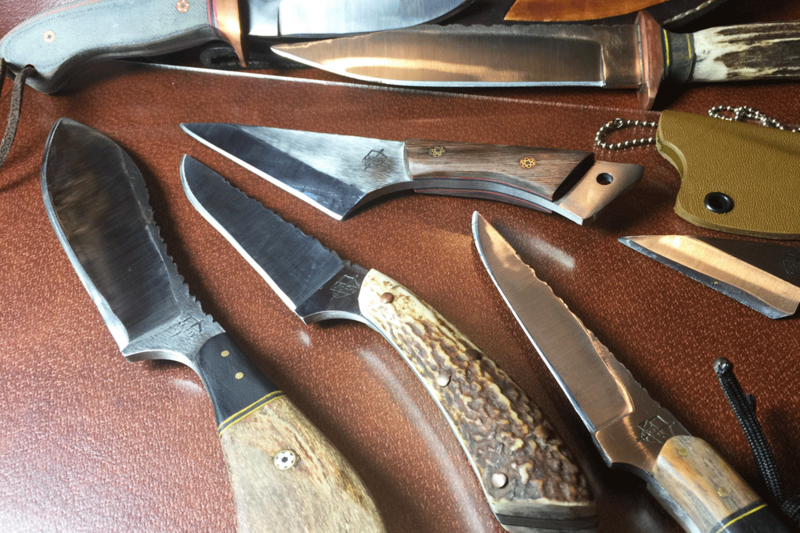 All our knives and sheaths are made by hand, locally in our shop in Rome, GA. We spend most of our time making fixed blade camping, hunting, fillet, and bowie knives, but we also make tactical & survival knives, tantos, Scottish dirks, and sgian dubhs on occasion. We make each knife as though it was a work of art, but function and performance is always foremost and never compromised. We hope that you will pick one out for your particular need and add it to your collection today. Our goal is to earn and keep your business.